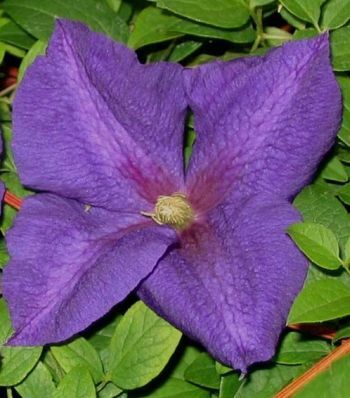 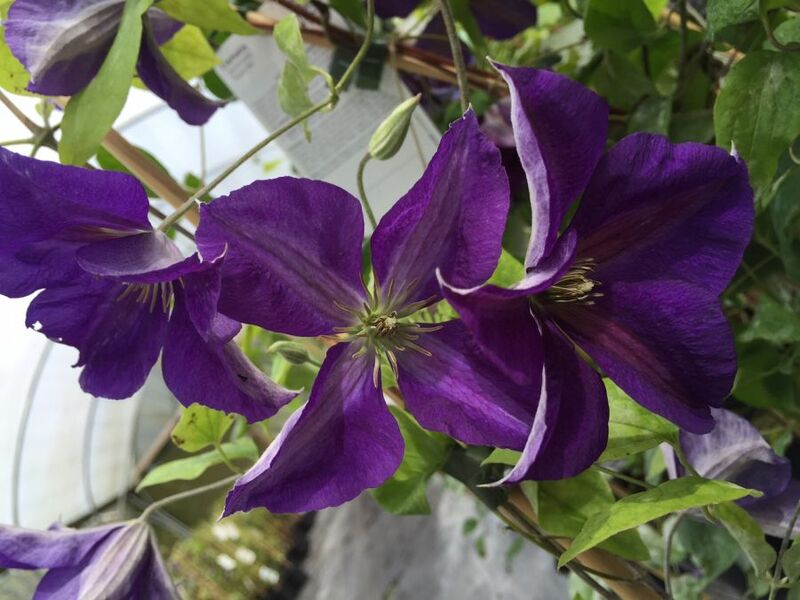 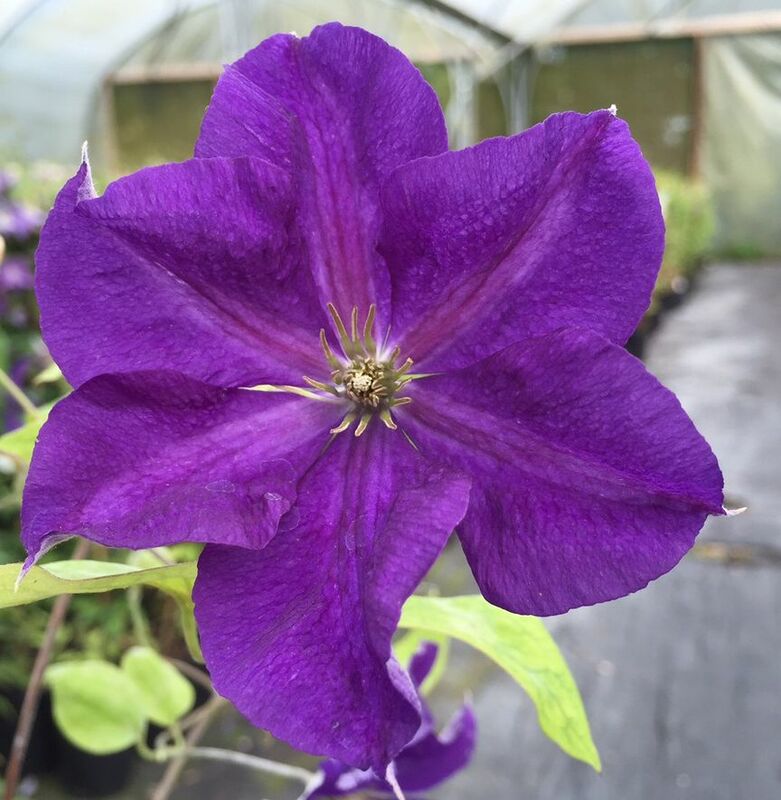 The Clematis Jackmanii Superba has large sepals in purple on each head, it will grow in any aspect and flowers from june to sept each year. 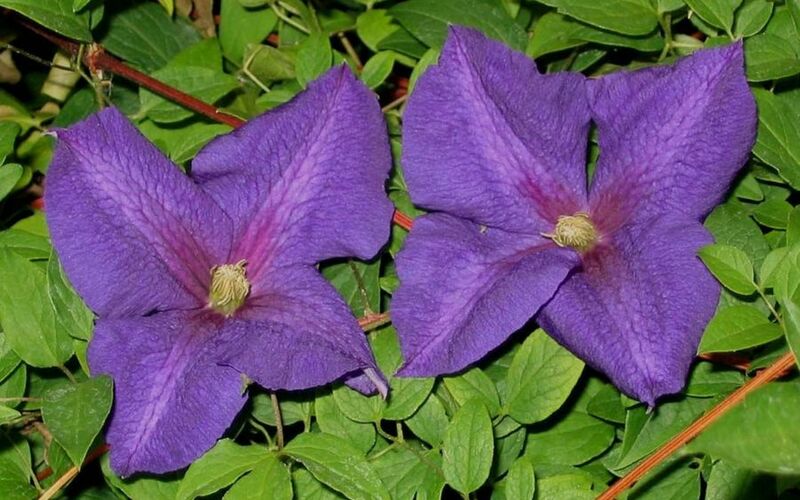 Jackmanii Superba can be grown in the garden or in a large pot. 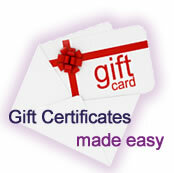 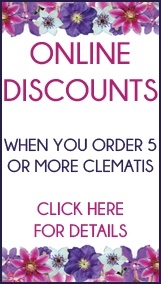 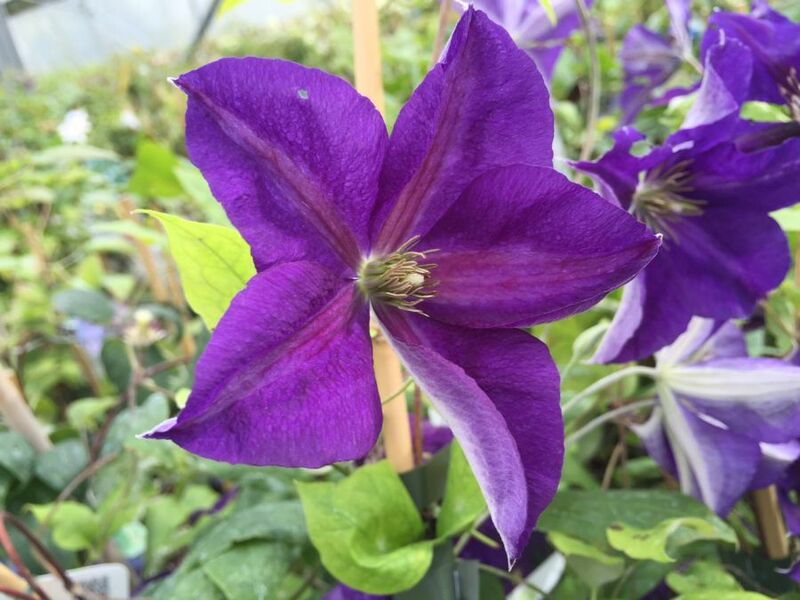 Clematis Shoppers online: 349 .